TheBigPicture answers the question How Much Has America’s Net Worth Recovered? Are Employees Unskilled or Picky or are Employers Too Picky? Notice : this is a semi-rambling, venting and opinionated article. Just giving you fair warning. 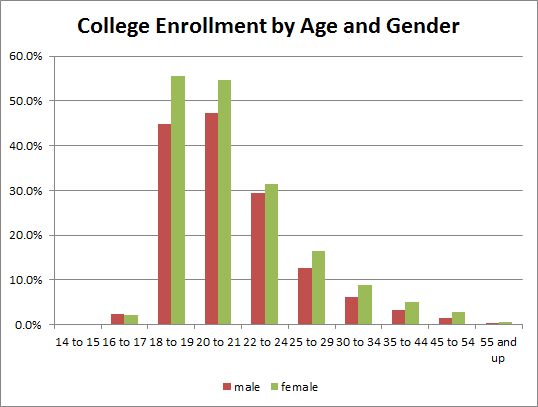 I ran across this article Why Millions of Job Openings Are Unfilled which seems to claim in general that many jobs aren't filled due to lack of skilled applicants. They talk of "scores of employers practically begging for new hires to fill openings to no avail". I'm not sure if they realize that score means 20 and that scores means 40 or more. So in relation to the USA economy thats a minuscule drop in the bucket. But thats OK I will set that nitpicking aside for now so I can get on to the bigger complaint. 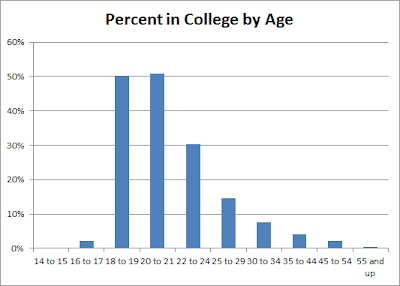 "Another cause of the supply-demand imbalance is a persisting stigma towards blue-collar jobs. Many people simply believe that certain jobs are "beneath them" and simply aren't interested. Krystal Wells, owner of Portland, Ore.-based cleaning service The Other Woman, recalls how difficult it has been to find good workers to join her staff. "I have gone as far as contacting over 400 different individuals that I took the time to read their profiles to see if from what I read they would be a fit and custom pick the people who most fit this job to call," Wells said. "After all the people I contacted, I had one person that was interested and never showed up to the interview." OK first of all they refer to "contacting over 400 different individuals" that she "took the time to read their profiles". I"m not really clear whats going on there. That sounds like she's skimming Linked-in or something looking for possible candidates. Then she says she was looking to "custom pick the people who most fit this job to call". It really sounds like this woman didn't put out a job ad but instead went browsing somewhere for people she might hire. I don't know what she was looking at. Theres no mention of where these profiles were. I'm really confused. Maybe she's reading the profiles of 400 applicants? If she got 400 applicants then couldn't find someone to hire then that doesn't mean that people think the job is "beneath them" but instead means that there are literally 100's of people wanting that job. But that doesn't match what they said, cause they are saying that many people think this job is beneath them. So there must not be 400 applicants and so she's just browsing Linked in? I'm confused. If you want to hire someone you don't just go ask 400 strangers if they want to work at your company. You post an ad to Craigslist or wherever and then sort the replies. Pure and simple. And the thing is that the woman is looking for people to clean houses. I have to think that if you're looking to hire people to clean houses and you browse 400 profiles to look for the "custom fit" for the job that you *might* just be a little too picky about who you hire. That sounds more like the job search process some Fortune 500 companies put into hiring their CEOs. Of course there is no indication of what she wants to pay them and I have to wonder if its a minimum wage job. I found the companies website and it doesn't list a wage and says the work is 25-30 hours with 1 week of vacation after a year and no mention of any other benefits. I don't know, and its quite possible that she wants to pay handsomely. But it doesn't say that anywhere. It doesn't say "and I was going to pay $15/hr or $20/hr". Sounds more like lowish pay with virtually no benefits and not even full time hours. Now thats common enough for house cleaning work I'd guess, but its not really going to entice the best applicants. I honestly doubt there are a lot of people who prefer to clean houses for a living. Some people do enjoy that work and it can be a fine job for those who do it but I think most people really prefer other jobs if they can get them. So yes I bet that most people aren't interested in such a job. As an employer seeking to hire people for this work you have to understand that kind of thing. You aren't going to get a line of 100 highly skilled people lined up with awesome resumes begging to work hard for relatively low wages. Maybe I'm assuming too much here but the woman talks of reviewing 400 profiles (a lot of hunting) in order to get a "custom pick" for her job which sounds to me like someone who's really very particular and picky about who they want to hire. As an employer its easier to be super picky when you have a ton of interested applicants but you don't have that luxury if there aren't as many interested people. If you really do insist on being very particular about who you hire and only want to make sure you get the absolute best people then you really do have to pay more. I see no mention of paying more and honestly I have to assume that the opposite is likely the case and I'm guessing its low pay. You know what they could do to find fill that job opening? Stop being so picky or pay more. Its not that hard to figure out. Open jobs are a natural part of the work place turnover. People come and go and jobs aren't filled immediately so there is always going to be a certain number of open jobs. It normally takes a month or two to fill a job so there's always some empty jobs as they are emptied and filed on an ongoing basis. This is a simplistic way to look at it : Is McDonalds hiring people right now? Yes McDonalds is probably hiring. Why is that? Because someone is always in the process of leaving McDonalds because they have high turnover. So that 'help wanted' sign at McDonalds does not mean that American workers lack the skills to work at McDonalds. Now lets just extend that idea across the entire economy and there will be naturally 2-3% of jobs open at any given time. Its not an indication that workers are lacking the right skills. And actually the number of job openings goes up when times are better. We had about 4 Million job openings back in 2007 when unemployment was under 5%. It wasn't a problem back then. Nobody was trying to claim there was a giant skills gap. Its not really necessarily a problem now either. You can't just magically fill 100% of the job openings immediately. Just a friendly reminder, that I'm holding a contest to get some free chocolate bars. If you haven't entered yet then please follow the link and leave a comment. Theres nothing required to enter at all, just leave comment of any sort. The contest ends tomorrow afternoon. 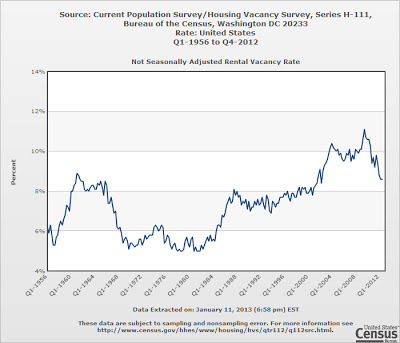 The Census Current Population Survey / Housing Vacancy Survey tracks rental vacancies. I don't know anything much about what drives rental vacancy rates at the national level. I assume part of it is building of new housing units versus growth of population. Interestingly the national rental vacancy rate was relatively high even during the housing real estate boom. Vacancies were over 10% back in 2003 and 2004. It could be vacancies in rentals where high during the real estate boom due to individuals moving into single family houses instead. My wife and I use a CPA for most of the same reasons. bought a magazine subscription as a gift for someone. I've gotten 8 subscriptions through the service. Five of those I got free or close to it by using $5 gift card or promo coupon code they've emailed to me once a month. I got 3 subscriptions for free and paid $1 and $5 for the other couple. *** UPDATE Oct 14, 2013 : In the couple months since I first wrote this article, I've stopedd getting free $5 gift certificates. The deals I've gotten lately are $5 off select titles or $5 after buying certain titles. Neither of which can be used for free magazines. *** UPDATE Oct 22nd. : They just sent me a $6 free code via email so I guess the freeby deals have not gone away after all. Disclaimer : Yes I know magazines aren't super frugal. You can generally get the same or similar content online for free. But some of us like magazines. Personally I like to get them to read on the airplane. I used to find myself spending $5 retail a few times a year to get a magazine at the airport newsstand before a flight or during a layover. I instead started getting a subscription for $10-15 and saved money doing so. Normally their pricing ranges all over the place. Their normal prices seem to be OK but not great. You can generally do better elsewhere if Magazines.com isn't having a sale. Their prices aren't bad but not the best. However they have such frequent sales that you just have to wait for a sale and you can find a good deal. Magazines.com does have a LOT of sales and discount deals. Once you buy from them and get on their mailing list my inbox has been almost bombarded with promotional offers. I probably get about 1 email a day from them on average. Honestly its a little too much email. However there are a lot of great sales deals and better yet frequent coupons or gift card codes for $5-10 for free magazines. With the $5-10 free deals combined with sales you pretty easily get some free subscriptions. For example I got myself year subscriptions to Popular Science for free and Money for $1. YMMV : I don't know if they send the free promo deals to everyone. Note that the original purchase I made as a gift was for a relatively pricey magazine and so I may be target for freebie deals more often due to that. I'm not sure but its a possibility. I mentioned free magazines in the title. I've gotten some free subscriptions myself. The way to get free subscriptions is to wait for a free $5-$10 coupon code in your email and then go shopping for magazines on sale for less than the coupon value. So for example, they sent me a $5 coupon code. I then went to their site and saw that Popular Science was on sale for $5. So I used the code and bought Popular Science for a net cost of $0. I've had good service with Magazines.com. I've had to contact them a couple times for service and the service has been good. First I was confused about a charge to my credit card and I couldn't find the corresponding order on their site. They responded quickly and explained the charge. I'd simply not noticed the second page of orders on my account history. The second time I used their support was to cancel a magazine we didn't want. They replied quickly and canned the order without any fuss. If you do buy a subscription on Magazines.com you can also get a 26% rebate via Ebates. That rebate alone can make some of their prices a great deal and if you add a good sale at Magazines then the combined savings can be hard to beat. As I said their prices often start out higher but can be deals if you get a sale. For example right now the renewal price on one magazine I get is $19.99 but the same magazine is $10 on Amazon. However that magazine was on sale at Magazines.com for $14.99 a couple weeks ago. If I had one of their $5 codes that would make it $9.99 net cost. 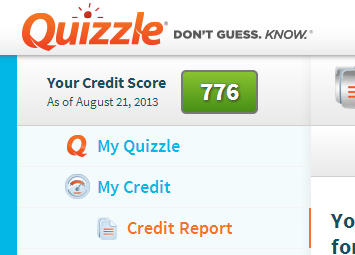 If I throw in the Ebates rebate then I'd be paying $7.49. Another example, right now Popular Science is $12 on their site for a year but if you wait around a little you can easily find it on sale for $5 to $10 and if you use a $5 code you may get it for free like I did. Bottom Line : I give Magazines.com a thumbs up. They have great selection and good services. If you watch for sales and use their free coupon codes you can find great deals. DQYDJ asks Should You Care About Income When You Choose a Major? If you're a landlord for very long then its almost inevitable that eventually you'll have a tenant that is late on a rent payment. Even the best tenants may occasionally have late payment due to circumstances beyond their control or simple accidents on their end. One of the unfortunate jobs of a landlord is dealing with late rent. Its never fun to have to chase down tenants and be the 'bad guy'. But if you're prepared and follow a rational process you can minimize the pain as much as possible. Below is my advice for how to handle late rent. I've got a lot of points below but I wanted to first cover the basic key points. 1. Don't panic and treat it professionally as a business transaction. Your finances should be in order so this shouldn't set you back personally (assuming they do eventually pay). 2. Enforce your late fee and get a commitment for repayment. 3. Don't let the tenant get too far behind. 4. If it goes on for more than a month then first suggest they move and if that doesn't resolve it then start forward on eviction process. Its easy to get anxious and give yourself an ulcer if you worry too much about when a tenant will finally come through with an over due rent check. Late rent is inevitable. It will happen eventually. You should first prepare yourself for it so that when it does happen you don't over react or panic. A late check doesn't mean you won't get the money. More often than not tenants will pay their rent after being late. If all goes well then you'll get the money and no harm will be done. If the tenant is simply unable to pay then this is a loss that is part of the business. Some people may get upset and take personal offense to a late rent check. A late rent check has nothing to do with the landlord personally. Tenants don't choose to be late on rent in order to inconvenience you. You're renting housing to make money and thats hard to do if you're too accommodating or forgiving with regard to late rent. Its REALLY easy for landlords to be nice to tenants who are having financial difficulties by being lax on late rent. Thats a natural reaction to want to be flexible for someone who's having a hardship. But you really do have to remind yourself that you aren't running a charity and that you need to keep the business interests of your rentals in focus. So this may go without saying, but its easy to get upset about something like late rent and you may unintentionally vent your frustrations on the tenant by being less than kind with them. As we just discussed, this is a business and businesses should be ran professionally. You may be unhappy or even insulted that your tenants are late. You should be professional and straight forward with your tenants. I'm sure your tenant didn't want to be late on rent and they do not enjoy the situation. If you were late on a bill you wouldn't expect or want the lender to be a jerk about it would you? Make sure to keep it civil and professional. I've heard a wide variety of excuses for late rent. A selection of reasons: "Problem with the bank", "Personal emergency", "Car broke down", and my personal all time favorite was "We had to buy grandma a big screen TV". When it comes down to it the reason for the lateness really doesn't matter a whole lot. If a tenant gets too far behind in their rent then at some point they'll need to move out. And if you accommodate it too far then you'll lose money. If a tenant really is struggling with personal hardship then they aren't going to be able to afford the rent for very long and its in their best interest as well if they find alternative living arrangements. So whether your tenant is simply irresponsible or they're perfectly responsible but having a hardship the end answer is the same that if they can't pay rent then they will need to move out. Usually when tenants are late they will conveniently forget about the late fee policy they agreed to when they rented from you. If a tenant calls and says they are late or if you have to chase them down to get an explanation then make sure to remind them that there will be a late fee due. Generally I think its OK to give them a one time pass on the late fee for the first instance if you want. But after that it really is important to enforce late fee rules with tenants. The reason you need to enforce late fees is to give the tenant a reason not to be late. When people are having trouble paying their bills they will usually pay the most urgent bills as a priority. If theres no late fee on the rent then they may consider it less urgent due to there being no specific consequences of being late. The tenant probably has multiple bills due and is going to pay other bills with fines or penalties before those that have no late fees. The tenants late on their rent will often tell you when they can pay. But if they don't offer that information then you really need to request it from them. Repayment "when I can" is not acceptable and you really press them for a specific date. If they can't or won't commit to getting the rent to you by a specific day then that is what I'd consider a red flag. Sometimes they just need guidance and you may want to ask when they get their next paycheck and if they can at least pay you on their next pay day. If the tenant can't tell you when they'll pay then its likely they aren't sure how they'll get the money or really have no means to do so. Occasional setbacks in paying bills is pretty command and easier to deal with but if a tenant has no real plan to get money to pay their rent then that is a much bigger problem. Handling "The check is in the mail"
You've probably heard the term "the check is in the mail". You may get this as the first response from a tenant. Theres often not reason to doubt the truth of it and you may very well get the check tomorrow.. or the next day or the day after that. I would remind the tenant that rent needs to be received on the due date not mailed on the due date and politely remind them of the late fee. If you do get the check then note the date it was mailed on the postmark and figure out how long it took to get to you and if it was mailed before or after the tenant said it was in the mail. If they mailed it AFTER they said it was in the mail then note that for future reference. If the check doesn't arrive then you've got clear evidence that the tenant was not telling you the truth and more aggressive action proceeding to eviction may be necessary. This part is really very important. Once a tenant is behind on their rent its quite possible that they may not be able to get caught up. If they are already living paycheck to paycheck and then they have a large expense that costs them to get behind they may not be able to come up with the money to get them back on track. They may then continue to kick the can down the road and continually ask to make partial payments. If this happens then before long they may be a little short on a future months and then "not have it all" another month and after a time you're all the sudden looking at a tenant that is behind 2-3 months worth of rent. If you see a tenant getting behind more than a month then its time to take further action. A lot of the time a tenant will not have the whole rent check but they will offer to pay you part now and then the rest at a later time. In general, I would agree to this arrangement (at least once). Its better to have some money now than nothing later. However you need to have specific details as to how much they'll pay and when it will be paid. If a tenant gets behind too far then you'll need to demand full payment or move on to further action. One reason you may not want to agree to partial payments is that it will generally stop you from eviction proceedings. If you go to court and the court finds that you had an agreement for partial payment then the court may not allow the eviction because any agreement for repayment needs to be followed through on before you can have cause for eviction. Agreeing to partial payment is an agreement with the tenant and you need to follow through on that agreement before you can evict. For this reason I would be specific in the terms of repayment and not extend if they fail to meet the initial agreement. If a tenant gets behind more than a month then its probably a good idea to ask if they should be looking for somewhere else to live. I think its a good idea at this point to let the tenant know that you will agree to letting them out of the lease terms if they need to move. It isn't like you're likely to get much money out of this tenant to enforcing the lease term is really not going to get you anything. The tenant may feel obligated or trapped in the rental due to the lease term so if you let them know you'll let them out of the lease then that may open the door for them to look elsewhere. Tenants who are late on rent and planning to move may expect you to use their security deposit to cover a rent shortfall. Do not agree to this in advance. If you let them use their security to cover unpaid rent then they won't pay the rent and may leave you with the bill to cover the cost of repair for any damages they caused. You wouldn't agree to blindly refund a security deposit before a tenant moved out and without a final inspection of the rental would you? If you agree to use their deposit for rent then thats in effect what you're doing. Occasionally in rare instances you may have a tenant offer to do some work or try and settle payment by giving you their personal belongings. Personally I'd avoid such arrangements but I think this one is really up to you. If you need someone to mow the lawn and they're willing to do it for a couple months to work off $200 then that could be a good solution for you both. However I'd keep in mind you're likely not getting professional work and there could be quality and liability concerns with hiring someone without demonstrated experience. It can be hard to judge if the work you may get from a random tenant is really worth the money in question. Of course you don't want to be a jerk and threaten to evict tenants at the drop of a hat. But you are also running a business so at some point you'll need to take action on a severely delinquent tenant. Eviction of course is the last resort but eventually it may be necessary. I'd recommend talking to the tenant first to see what you can work out. Suggest they move elsewhere and see how that goes. If a tenant is resistant to moving and gets behind on rent then you definitely need to give them a Pay Rent or Quit notice sooner rather than later. The Pay Rent or Quit notice is the first notice of eviction intention. You need to give them this notice in order to proceed with eviction processes further if necessary. The large majority of the time tenants will either pay rent or move out after getting the first posted Pay Rent or Quit notice. If you delay on giving the Pay Rent or Quit then it simply delays or avoids moving forward. It allows a tenant to get more and more behind and it delays eviction proceedings. If a tenant fails to pay rent or arrange to move out after the Pay Rent or Quit notice then you need to move forward with eviction proceedings. Wasting food is pretty ... well... wasteful. Its always bad financial sense to buy stuff then throw it in the trash. If you're actually wasting 40% of our food then thats a good 40% of our food budget we shouldn't have to spend. "Americans trash 40 percent of our food supply every year, valued at about $165 billion;"
"The average American family of four ends up throwing away an equivalent of up to $2,275 annually in food;"
I'm not sure how they figure the $2,275 per family figure. Theres about 123 million households in the country so if we waste $165B in food a year thats about $1,341 per household. If you take the $165B and figure it per capita then 4 people would waste about $2,149 total. Maybe thats what they're doing? However looking at their full report on the topic its clear that the 40% of waste is not simply left overs thrown in the trash in American homes. The 40% waste includes all stages of food production, distribution and consumption. "American families throw out approximately 25 percent of the food and beverages they buy.69 The cost estimate for the average family of four is $1,365 to $2,275 annually.70"
So first of all its not $2,275 that we waste but instead its $1,365 to $2,275. I don't know but that seems like an extremely imprecise estimate that makes me doubt how accurate it is. More so the $2,275 figure is just the high end of their estimate but thats all they say with an "up to" in front of it. "69 Bloom, American Wasteland, 187. The author reports a 15 percent loss in homes, with potentially an additional 10 percent loss in liquid products. 70 Bloom, American Wasteland, 187 "
Their source is the book American Wasteland from Jonathan Bloom. I'm a little puzzled how that footnote translates into 25% waste in homes. The footnote says 15% loss with potentially 10% more in liquid products. Well that reads to me as if the waste is 15% in general but up to 25% for liquid products. That doesn't equate to 25% of waste in total, but instead something between 15% and 25%. I went looking for more references to get an idea what Bloom's book actually says. I found an article from Nourishing the Planet that says : "Bloom estimates that as much as 25 percent of all the food Americans bring into their homes goes to waste." You'll note the "as much as" bit in front of the 25% figure. So its not 25% its some value under 25%. Is it 40% or 25% or 15%? Is it $1,365 or $2,275? I think it makes more sense that the total food production chain might waste a larger amount of food like 40%. If you look at each step of the system it seems realistic. If there is 10% waste at the farm, then 5% waste in transport, then 10% waste at the grocery store and then people waste 15% then that all adds up to 35% total loss. But when the article says we waste 40% of our food it sounds like they mean that an American family throws 40% of their groceries in the trash. I do agree that we waste too much food and its certainly a problem that we should all work to fix. With savings accounts generating less than 1% in interest nowadays it gets tempting for people to look elsewhere to find higher return on their savings. Some folks then decide to invest their savings in stocks. Now putting money in stocks is great for the long run and I still feel its going to net you the best return over 10 years or longer. However if you have a need for money in a shorter term then putting it in the stock market can be quite risky. I pulled the historical return data of the S&P 500 from Yahoo Finance. They have numbers going back to 1950, so thats over 60 years worth. Lets just look at a 5 year period. I'm looking at returns over 60 month periods starting on any given month. So if you start from July 1950 and go to July 1955 or October 1983 to October 1988. So just shy of 1 in 5 times you would have lost money in the market over a 5 year period. About 1/3 of the time you would have averaged 10% or better, which is quite good. 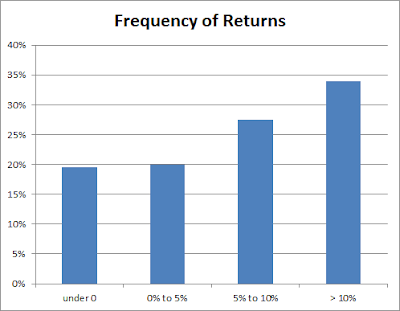 In the middle you get 0% to 5% returns about 1 in 5 times and a little over 1 in 4 times you'd get between 5% and 10%. The worst return for a 5 year period was -8.5% annually and the best return was 26.2% annually. The odds are still in your favor that you'd have done well in any given 5 year period. However the point here is that there is still a significant risk that you could lose money. Theres still that roughly 1 in 5 times that people would have LOST money in the market. Keep in mind that this doesn't account for inflation. And it doesn't compare to simply making 1% or so in a CD or getting a safer 0-5% return in low risk bond funds. Stock market investment is not for the short term. If you can't stand to lose money then I wouldn't put money in the stock market for less than 5 years. DQYDJ asks Should You Major In Photography?